A full kitchen leads in to a decent size lounge. Theres a large dining table and comfortable leather couches in the lounge, all heated by a heat pump and a log burner. A ranch slider leads on to the deck and private fully fenced garden. Two reasonable sized bedrooms sleeping max of 5 - but probably would work best for 4. The bathroom has a powerful shower and a bath, loo and wash hand basin. There is a separate laundry with washing machine, drier and tub. This is a really comfortable small house(Just over 80sq metres) very handily located in town centre, yet it is very private. Cleaning, toiletries, sheets, towels, beds made and a few provisions included. This was a great place to stay close to town and dog friendly. This was a great place to stay close to town and dog friendly. It was Great having the wood burner when the weather was so cold. The place could do with some TLC, simple stuff like replacing blown lightbulbs, curtain hooks broken. Bathroom desperately needs a fan to clear the steam and the bathroom needs some repairs. The electric blanket in the main bedroom only worked on one side. The place is close to town, yet quiet, comfy beds and a amazing fireplace to keep warm. 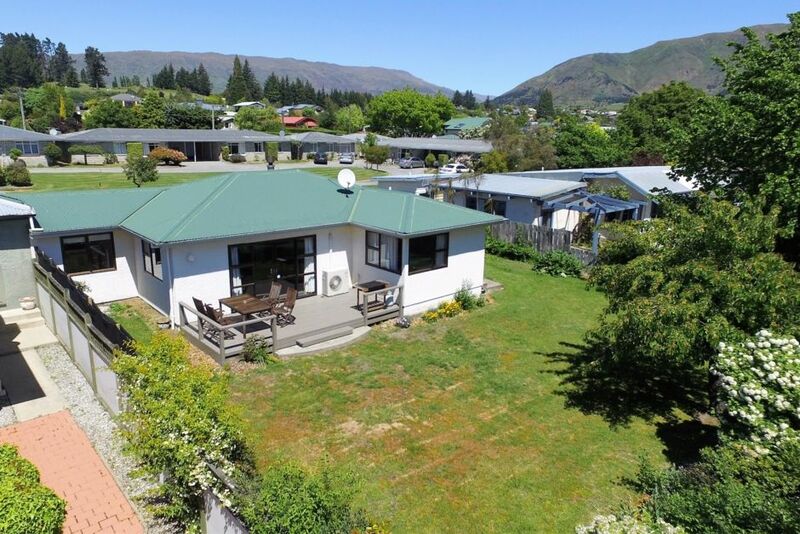 This is a great property, private, lovely view of the mountain tops and so close to everything in town. We enjoyed walking everywhere. Great heatpump for those cold nights and everything we needed. Thanks so much Neil for allowing us to bring our dog with us, much appreciated. Good place! Cool you can take your dog.